With the boys returned home, attention has turned to how the media is handling the post-rescue story. There has been criticism of several news outlets, mostly foreign, who are considered to have ignored official advice to leave the boys alone for at least a month to try to avoid psychological stress that recounting their ordeal might trigger. He said the foreign media "may not know the consequences of our child protections laws. Even if unintentional, but if guilty, we can conduct legal proceedings against foreigners." Wissanu, who is considered the top legal expert for Thailand's ruling junta, said the boys are protected by child protection laws and information protection laws. The rescue, carried out successfully against high odds, was a rare bit of feel-good news from Thailand, which has been mired in political conflict and heavy-handed military rule for more than a decade. Even as the world watched the cave saga, a boat sinking off a southern resort island claimed almost 50 Chinese tourists, an event that normally would have registered as a high-profile debacle. 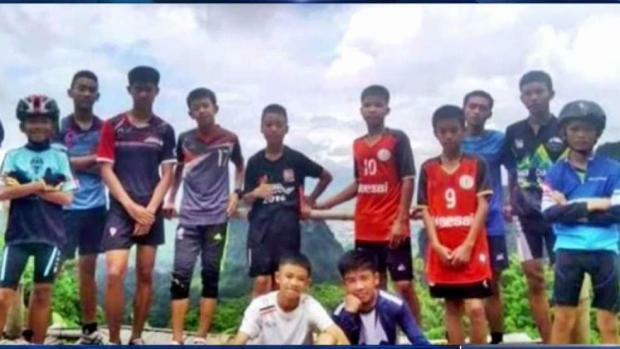 Vira, speaking after a film board meeting Thursday chaired by Deputy Prime Minister Wissanu, said five foreign film production companies have shown interest in making a movie or documentary about the cave rescue and some had already been on location to collect information. Wissanu said that it is the boys' right to sign contracts for their own benefit, but added that the government committee would provide advice "like a manager," but without seeking any profit for itself.